I’m excited to share this opportunity with you and your students. On September 12th, Burritt will be partnering with the National Archives to host a FREE National History Day workshop introducing educators to the process and requirements of the National History Day competition. Please share the information about the opportunity with your friends! 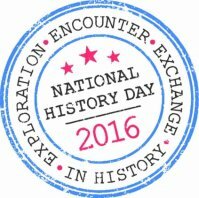 National History Day is the premier history education program in the nation. Middle school and high school students become the historian, researching a topic of their choice, developing an exhibit, a documentary, a historical paper, a performance or website and then competing against other young historians at regional, state, and national contests. Registration is required for this FREE event. This competition is a really fun opportunity for students to become experts on a subject and see the results of their hard work, and it’s a great program for homeschoolers in particular! Students are encouraged to attend as well. I hope you’ll participate.